As a Florida-based photojournalist, I was fortunate to have NASA press credentials, which allowed the privilege of covering launches from some of the best “seats” in the house. Actually, there was very little seating but the Kennedy Space Center press area is close enough to the launch pad that the concussion of a launch nearly took my breath away — both figuratively and literally. As Americans, we often tend to be hard on ourselves; and even harder on our government (of the people, by the people and for the people). Complain as you wish — and you have a right and sometimes a duty to do so — there are a lot of government agencies that are so far beyond world-class that they set the standards for world class on a daily, sometimes hourly basis. NASA is one of those agencies. Just take a look at the photo at right. Here’s the bottom line kids: NASA doesn’t screw around. We decided to go to space, we decided to go to the Moon — and we did it right. Yes, there have been horrific tragedies but the triumphs…oh, the triumphs, are beyond compare. To this very day, no other nation on Earth has successfully sent humans to the Moon. No other nation on Earth has traveled our solar system broaching new frontiers with each passing day. If you want to go to space, don’t screw around. 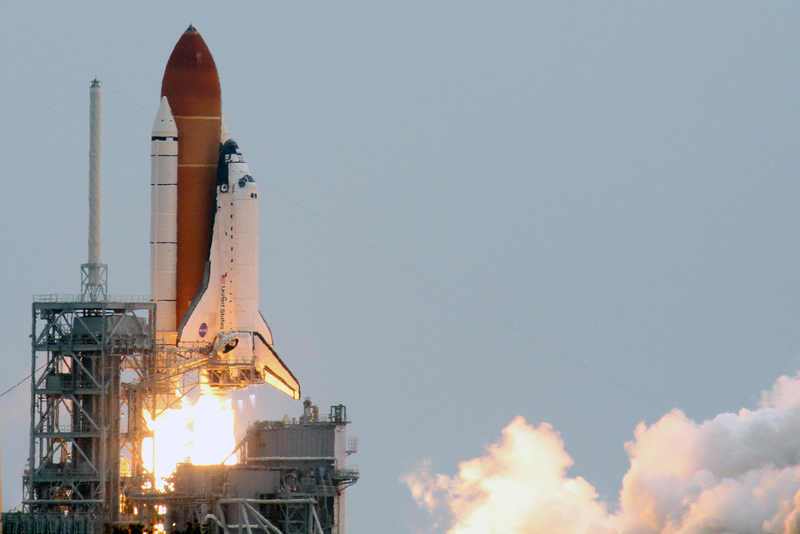 Just take a look at Atlantis leaving the launchpad on STS-135, the final (and successful) shuttle flight. That is some seriously badass stuff there. As a nation, we did it right. Find your dream. Make some plans. Create new goals. Go to space, if you will — but don’t screw around. Do it or go home. It’s a tough job — but I can help. It would be a privilege to do so. Click here to email or text me at 201-423-4619. Let’s launch your dreams today.